I didn't want to announce this project until it was quite a bit further in development, but with the end of summer comes a drought of free time to invest in continuing this campaign. The Unsung Rebels campaign is a custom campaign where you will play as the leader of an anti-Dominion rebel group called the 7th Squad during the early days of the Second Great War. 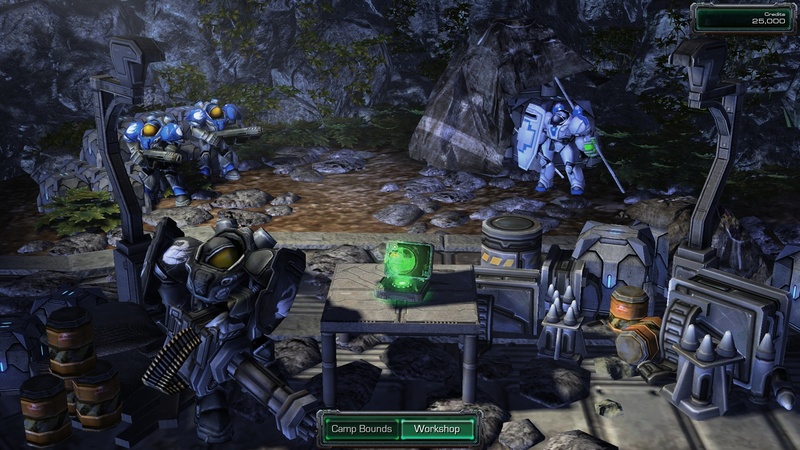 It features a storymode similar to that of the Wings of Liberty campaign in addition to its own upgrade panel with improvements for each of the Terran units usable in the campaign, purchasable with credits in the storymode. 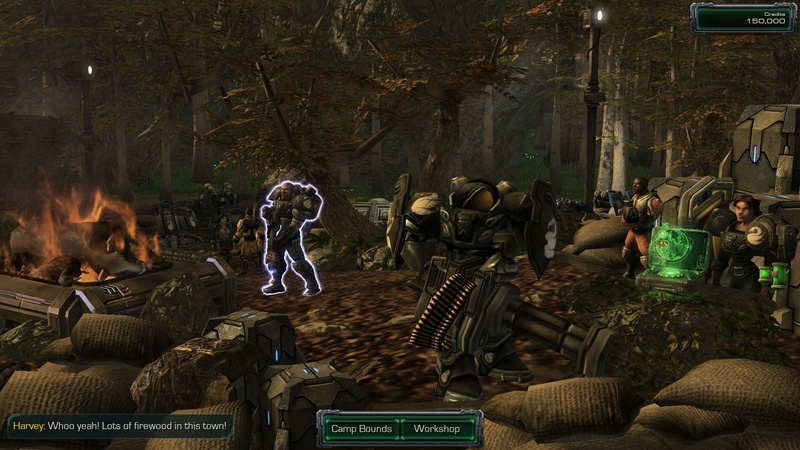 The campaign is non-linear; though there is a main story, missions can be played in various orders, up to the choosing of the player. I recognize that this is a rather ambitious project, especially for one mapmaker. My greatest fear is that this campaign will just be yet another ludicrously ambitious project which ends up never being completed. 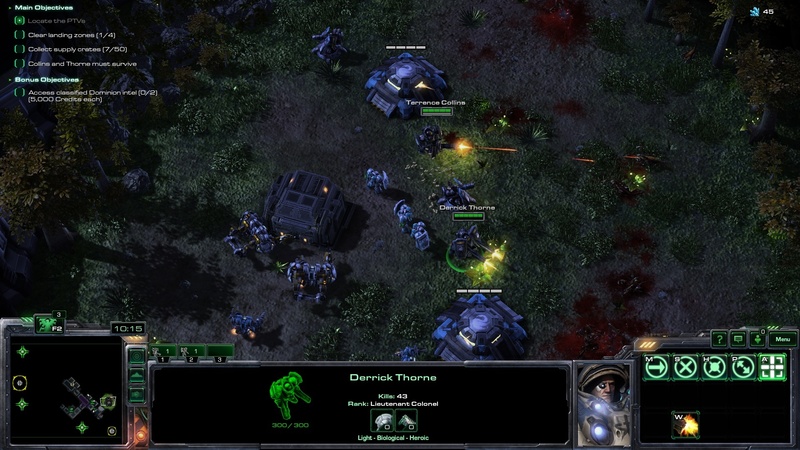 I hope the Mapster community exists long enough to see through the completion of this project; as Starcraft II is growing less and less popular, that hope seems an optimistic one. Nonetheless, I hope to complete the next two missions and cinematic for release in reasonable time. My progress, again, will be quite slowed for the next coming months, but I hope a few screenshots may encourage interest in this project. Planet Agria (agria) - Changed setting for post-mission of "Angels Save Lives"
It will be a map package that goes in your Maps folder with a dependency file in the Mods folder. To ensure bank data is correctly stored, you will always launch the campaign through the launcher map; it redirects you to the current mission/storymode setting. Wow! This looks great so far, it seems like you've already completed a great deal of work. Thank you! I watch your playthroughs daily, they provide inspiration for my maps and motivation to continue. This looks really well done! And I love that you mention that you don't want it to be just another ambitious project that never sees the light of day. I can only go off from what I see in your post, but you seem to have a really cool campaign brewing. Nice work!! Cool upgrade panel as well. 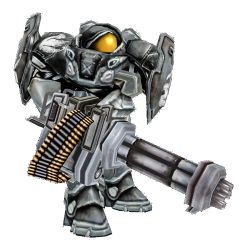 Did you also make those custom models (The marines with unique weapons)? 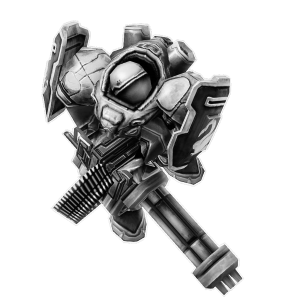 Yes, all custom units, models, wireframes, and other assets are made by me. The data module is the one I'm most familiar with, and from there I decided that learning to use other programs, such as Blender, would be the most logical transition towards polishing off all the heros and units. Alas, I have not created custom portraits or voice-acted transmissions to create a fully immersive experience.  If you need acting, I might be able to help you out. Depends on how dense your script is and how many characters you have. PM me if you're interested. Are the upgrades mutually exclusive, or can you buy all three if you spend enough money on one single unit? 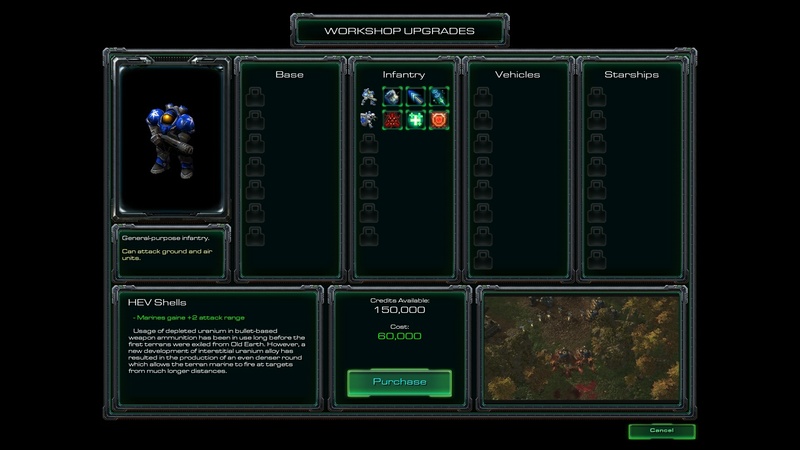 The upgrades are not mutually exclusive; just like in Wings of Liberty, you choose which units to invest your credits in. Unfortunately, there will be quite a bit of dialogue in the campaign. Currently, I have well over 10 unique characters of diverse backgrounds and voice properties, so voice-acting the entire campaign is something that, while desired, is not possible at the moment. One thing I intend to invest my effort in is the lore of the characters in the campaign. While I feel character development is best done in the game itself via cinematics and gameplay, the backstories of the characters are what I've enjoyed coming up with and simply writing out. The 7th Squad is a group of anti-Dominion rebels that combat the oppression wrought by the Dominion forces upon its citizens. 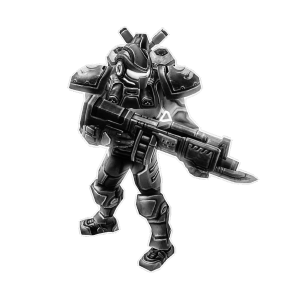 Originally, the 7th Squad consisted of a small team of elite combat-trained rebels on Mar Sara formed in the years following the Brood War and the periodic disappearance of commander James Raynor, the greatest inspiration and symbol of hope to the oppressed citizens. 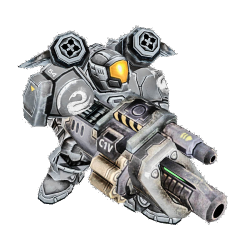 In a drought of anti-Dominion rebel activity in the backwater portions of Mar Sara and thirst for righteousness after the Brood War, rebels across the colonies began forming squadrons of dedicated armed strike forces to demonstrate their desire for freedom from harsh Dominion regulations. The first squadrons all failed to accomplish significant ground against the Dominion, leaving nearly all of their members killed in action or executed in public demonstrations by the Dominion Marine Corps. 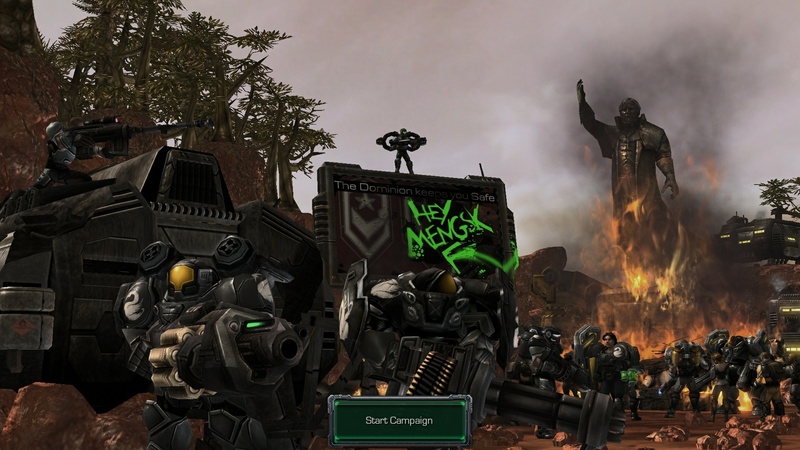 Finally, late in the year 2501, a group of eight rebels finally brought a new spark of hope to the colonists of Mar Sara in the relative absence of Raynor's Raiders since the Brood War. The 7th Squad consisted of some ex-Dominion military personnel, freelancers, and just plain, ordinary citizens with determination of steel and desire for justice. In the following years, the 7th Squad successfully followed through with numerous operations, primarily on Mar Sara, while recruiting members for their new independent military formation, named after the original squadron which started it all. They work separate from the Raiders but are on cordial terms, assisting the Raiders whenever they are needed to fight for the liberty so longed by the Dominion's oppressed citizens. 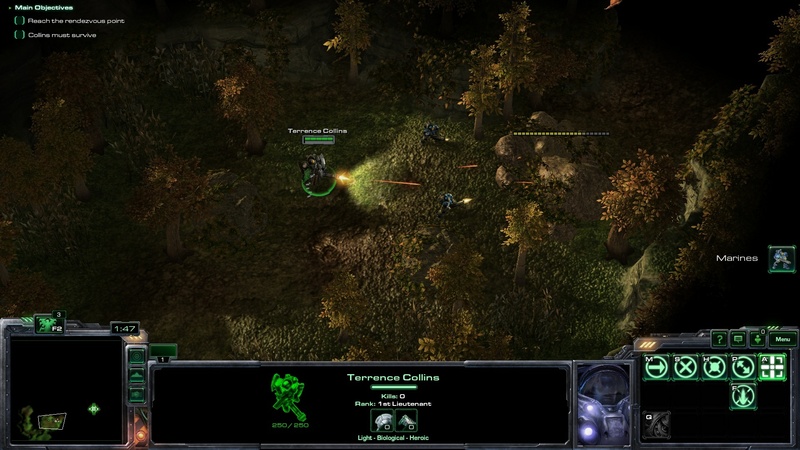 As the formation of the group occured after the Brood War, they have dealt exclusively with terran threats and have had no combat experience or interaction with the zerg or protoss races, only hearing of them from the reports broadcasted across the news during the Great War and Brood War and from rumors of fellow colonists. Terrence Collins is one of the original eight members of the 7th Squad and its highest ranking officer. 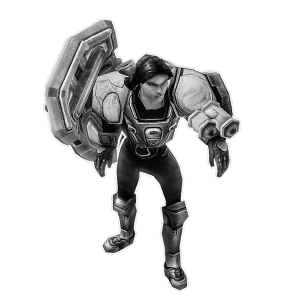 Collins lived a relatively peaceful life as a miner on the planet Moria with a wife and two children working under the protection of the Kel-Morian Combine from the Terran Confederacy. As a result of the economic chaos following the fall of the Confederacy, his family fell upon hard financial times due to losing his contract with the Kel-Morian Combine and was forced to move to the planet Mar Sara. It was there he and his family experienced the oppressive rule of the Dominion. Having more experience and background with the job, he was given a higher position with a contract with the Dominion. However, seeing the other miners beaten and abused sparked a hatred for the new government that seemed even worse than the old Confederacy. 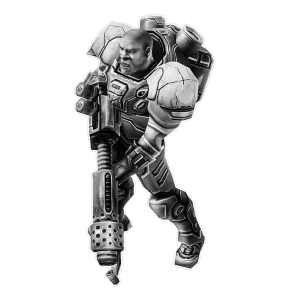 In hopes of getting a steady income, intel on the Dominion, and finding weapons to defend his family from thieves potential unwarranted raids by officers, he decided to join the Dominion Marine Corps. However, with his wife unemployed and with next to no financial support for their two children, in his family's frustration his decision was interpreted as abandonment in favor of the wretches which ran their new hellish world. He left for the barracks with his family having little trust for him, and upon returning after his training shortly before his first deployment, he found his home looted and burned to the ground. 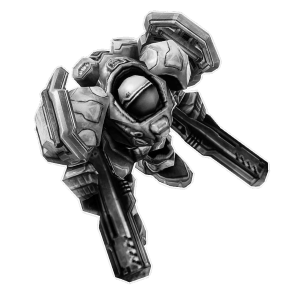 Collins fled from the Dominion with his assigned powered CMC-300 suit and standard-issue gauss rifle, lucky enough to go AWOL for weeks. He was eventually found and taken in by a group of rebels organizing a strike force to combat the Dominion, and with his combat training and knowledge of Dominion tactics he became the leader of the new group, the seventh group formed in an effort to fight the Dominion. 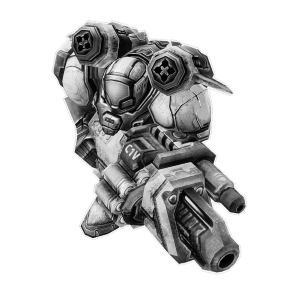 He and his original squad mates have successfully led numerous raids against the Terran Dominion since the formation of their squad. Grandy Briggs is one of the original eight members of the 7th Squad. Orphaned as a child on Old Earth, he started with humble origins as a small-time mechanic. Eventually, he joined the marine corps of the UED, and was sent to the Koprulu Sector as part of the expeditionary force under the command of Admiral Gerard DuGalle. 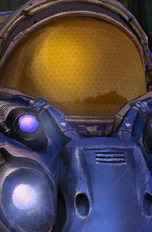 He was trained to show some degree of resentment towards the existing Terran factions in the sector (primarily the Terran Dominion) merely as part of his duty as a UED soldier during the Brood Wars. However, during his service under the UED, he began to take personal interest in overthrowing what he saw as not only an incompetent but corrupt government ruling supremely over hardworking and helpless citizens. 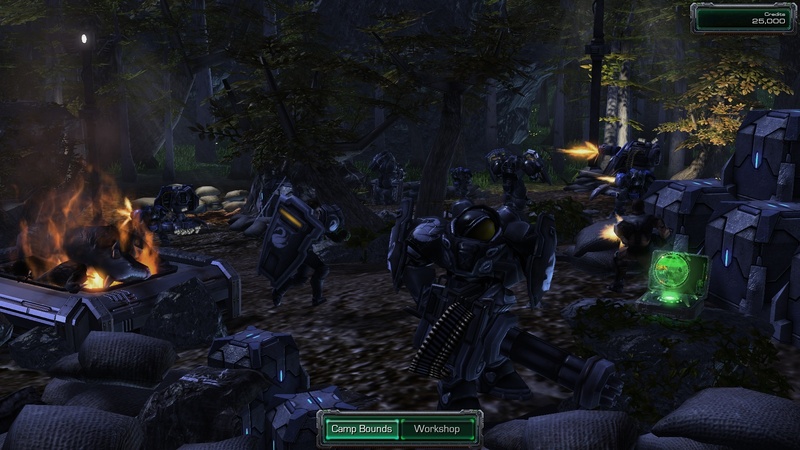 Briggs was captured by the Dominion during the UED's attack on Augustgrad. He was interrogated harshly for information on the UED's weaknesses, but in his unwavering loyalty to the UED, he was assigned for transfer to New Folsom on a life sentence without parole. However, in transit to the prison world, his dropship was intercepted and raided by pirates. The Dominion forces onboard were killed and he was taken prisoner. The pirates took him to Deadman's Port, a world of mercenaries outside of Dominion control. There he remained prisoner until he was released by the request of the former fellow-UED Spartan Company mercenaries working there. Being in imprisoned for so long, he had not heard of the victory at Augustgrad nor the shortly following destruction of the UED's expeditionary fleet until informed by the Spartan Company. 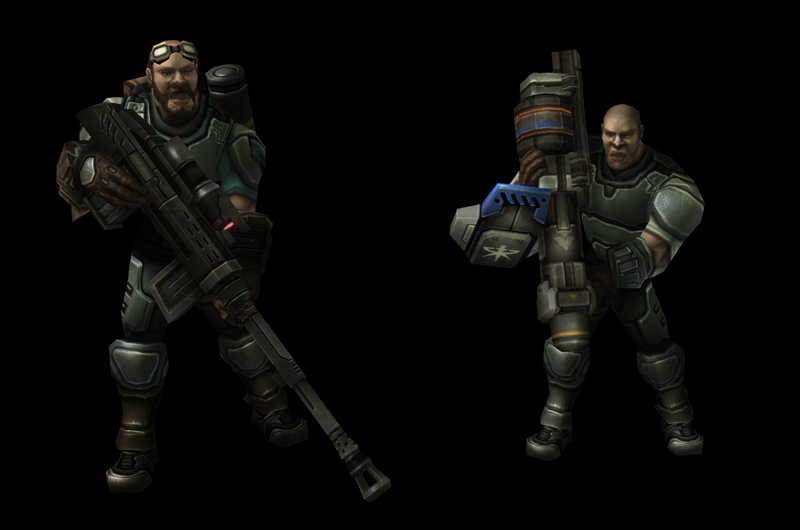 Briggs joined the Spartan Company for a few months and refitted a version of their anti-air missiles into his own rocket launcher and shoulder-mounted missiles. However, he felt a lack of purpose and determined that mercenary life was not for him. 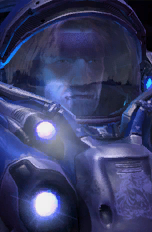 Remembering his near-forgotten hatred he felt for the Dominion, he boarded a dropship for the Dominion world of Mar Sara in hopes of finding the renowned Jim Raynor and joining his rebel group to fight the good fight. 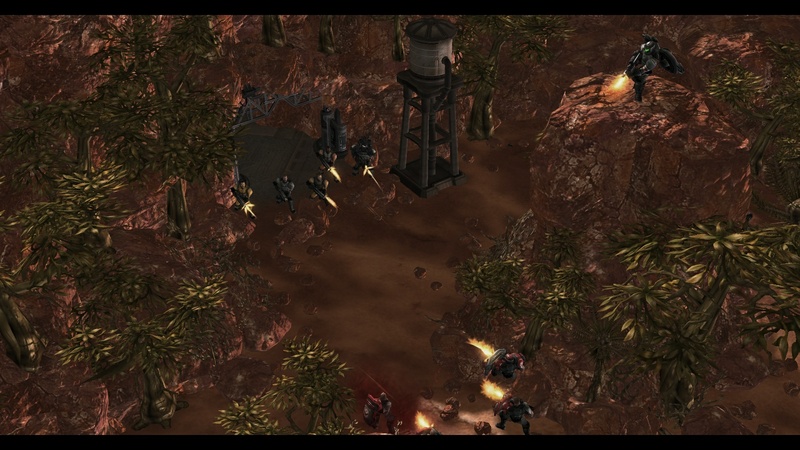 He did not find Jim Raynor, instead finding only a stagnated rebellion and the colonists still oppressed. The locals spoke in hushed tones about rebellion, and it was there he met others who shared a hatred for the Dominion and were willing to fight for what they believed in. 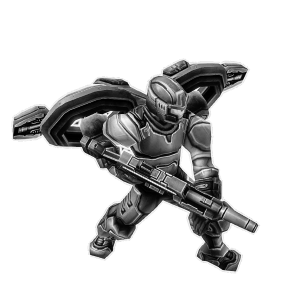 He, along with the rest of the 7th Squad, led the first succesful organized colonist attack against the Dominion in years. He is very good friends with 1st Lieutenant Terrence Collins. 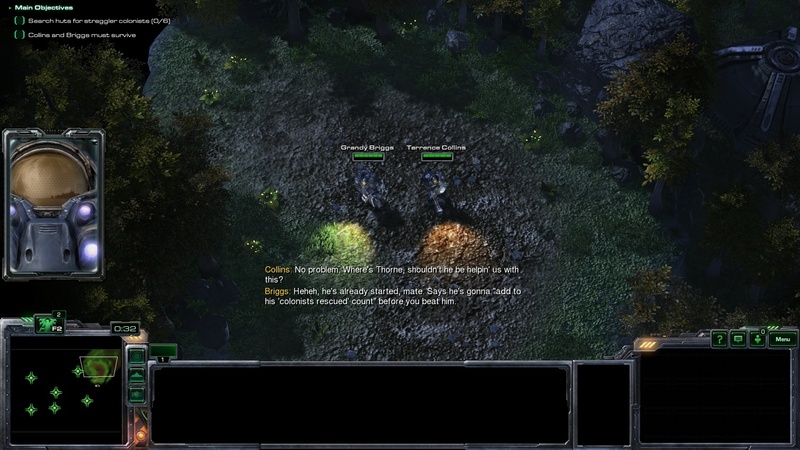 I actually find writing out lore to be one of the more leisurely parts of campaign development; cross-referencing the Starcraft Wiki to make sure the stories fall in line with with the events of the canon lore (as this campaign does occur in the same universe) has taught me quite a few things about the official Starcraft universe I would never have known otherwise. 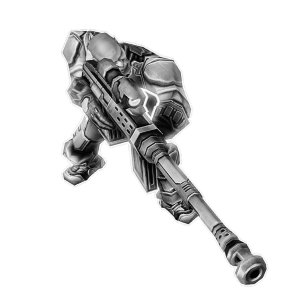 The original members of the 7th Squad are all in the campaign launcher screenshot, but I'd like to share all of them (names and in-game ranks included) in the form of their resized 300x300 wireframes. The ranks don't directly correspond with actual military ranks; they are more there as honorary titles. Custom Badass assets? Cool terrain? Great camera cuts? Deep lore?? Tell me only when, i am already hyped, even if i have just finished another satisfying Nova Covert Ops mission pack... Good luck with this, it looks very cool. Did some work on Foxworthy's model (added goggles + backpack and more realistic animations) in addition to working on the creation of another unit for some urban warfare-style TvT missions. Both of the above models have a TurretZ attachment for smooth aiming. I want to use these assets wow. You sharing them?